Still reeling as the implementation of Dr Beeching’s Reshaping the Railways programme of station and line closures pressed ahead, the railway experienced a bad year in 1967. 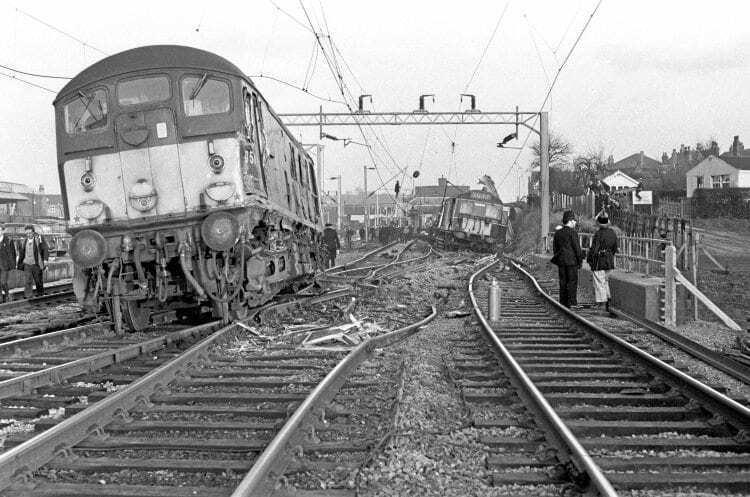 In the first of a series marking the 50th anniversary of 1967 railway accidents Fraser Pithie considers a fatal collision on the West Coast Main Line at Stechford in the West Midlands. ASSUME NOTHING, the mantra pressed home time and time again across safety critical industries and services. Indeed, it can be extended across most things in our daily working and personal lives. Nevertheless history has shown on numerous occasions the relevance of the old saying that ‘familiarity breeds contempt’. Despite complex and well-designed signalling and interlocking systems, the railway is not excluded from the consequences of assumption, not least because signals and instructions require interpretation, observance, communication, and crucially, application by individuals. By February 1967 the electrification and modernisation of the West Coast Main Line (WCML) between Liverpool, Manchester, the West Midlands and London was complete. With the full electrification timetable due to come into operation for the first time on March 6, 1967 everything was set for a new standard in passenger service. At last something positive would be seen and experienced by both railway passengers and staff after several years of the implementation of the Beeching reshaping. However, the beginning of the new electrified services was put into serious doubt and overshadowed when, six days before on February 28, 1967, a fatal railway accident occurred on the WCML between Birmingham New Street (BNS) and Coventry. Stechford is situated between Adderley Park and Marston Green and is about 3½ miles from BNS. The main line between Birmingham and Coventry, then known as the Stour Valley Line, was connected via a junction at Stechford to what was known as the Grand Junction line.